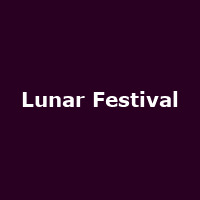 Established in 2014, Lunar Festival takes place in Warwickshire, less than 10 miles from the bustling heart of Birmingham yet a whole world away in an area of outstanding natural beauty. The 2018 event features Goldfrapp, Amadou & Mariam, The Stranglers, Basement Jaxx (DJ Set), The Go! Team, Songhoy Blues, Crazy P, Hookworms, A Guy Called Gerald, The Unthanks, Jane Weaver, Trojan Sound System, Boy Azooga, Damo Suzuki, Mark Radcliffe, The Heliocentrics, Blackash, AK/DK and more.